All homes currently listed for sale in the zip code 84084 as of 04/18/2019 are shown below. You can change the search criteria at any time by pressing the 'Change Search' button below. "Brand New Community of Homes! 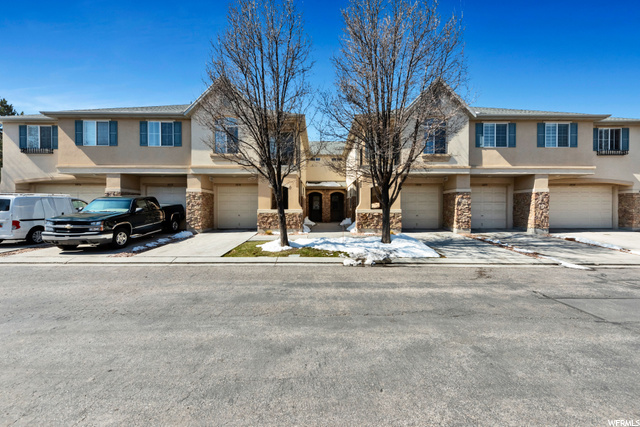 Great location close to West Jordan Soccer Complex and near Jordan Landing. Awesome rambler plan on end cul-de-sac lot facing west! Hurry in to choose colors. Price includes upgraded Artisan level finishes." "The incredible new SIERRA floor plan! Quickly becoming one of our most popular plans. Features include 4 bedrooms, 3.5 baths, plus unfinished basement, grand open entry, main floor bedroom/office, large windows throughout, laminate wood floors, granite, stainless appliance, tile floors, and plenty more. 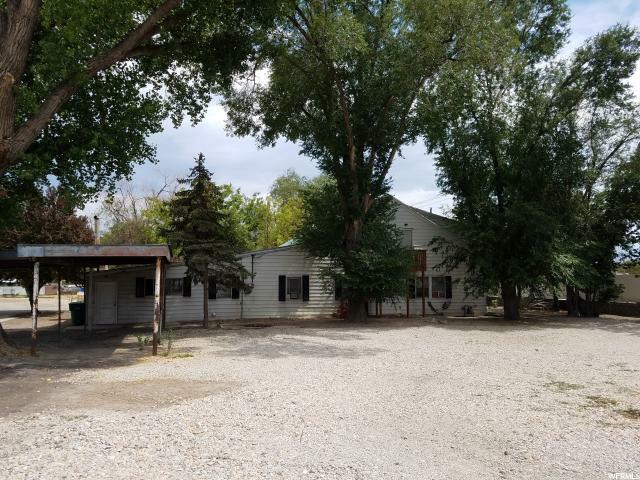 9' tall ceilings on main floor, extended height 42 cabinets, square craftsman trim, front yard landscape, Great view of the valley and mountains, .19 acre home site with plenty of space for RV Parking and much more. 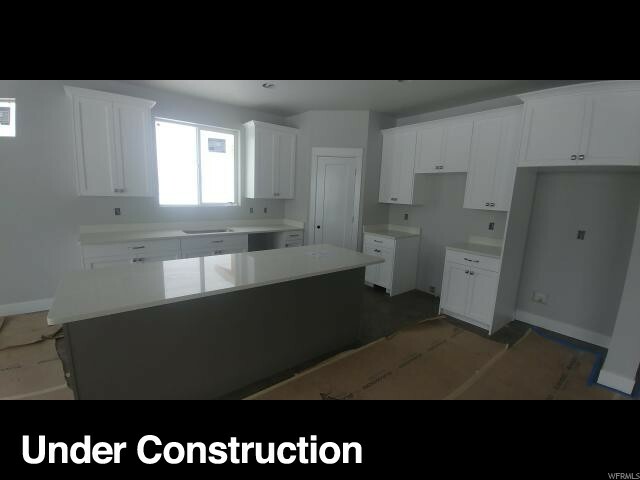 Some Photos are of Sierra model home in West Jordan, actual finishes will vary. Buyer can still select ALL interior design options. Ask about our preferred lender incentives. " 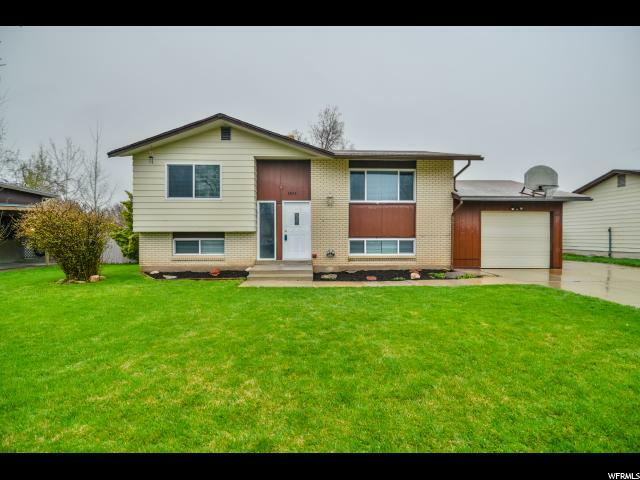 "Large rambler style home with full basement offers 4 bedrooms and 4 bathrooms, front formal living room or home office, large and spacious great room with open kitchen, dining space and connected family room all under a high vaulted ceiling. The basement is 95% finished with wet bar in the large family room. Must see!!! Square footage figures are provided as a courtesy estimate only and were obtained from County record. Buyer is advised to obtain an independent measurement." 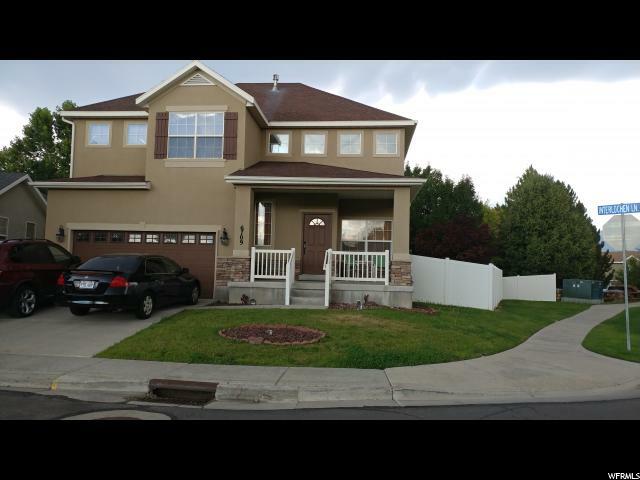 "Beautiful West Jordan home, clean and well maintained. The home features open floor plan with plenty of room for gatherings. Recently updated kitchen with extra long cabinets. Dishwasher never used. New 50 gal water heater. 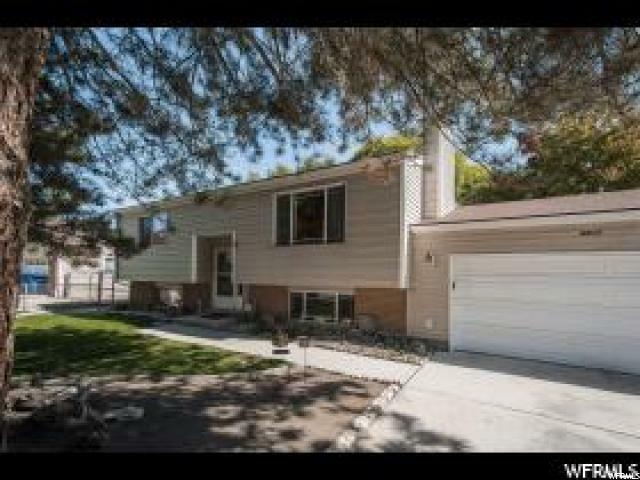 Minutes from Jordan Landing and easy access to Bangerter Highway. Square footage figures are provided as a courtesy estimate only. Buyer is advised to obtain an independent measurement. Buyer to verify all information." 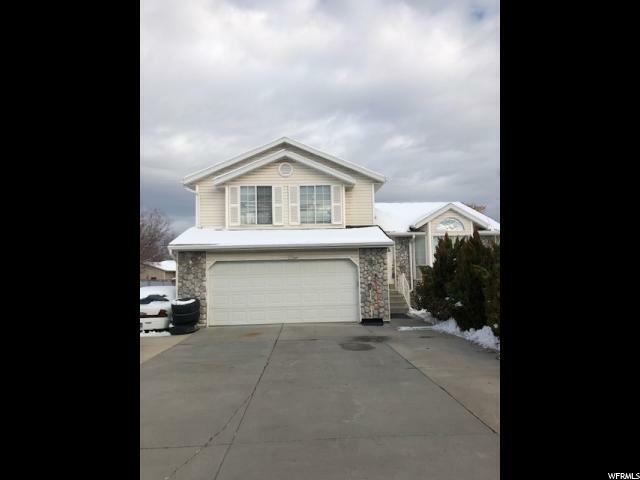 "Great home in a wonderful West Jordan neighborhood. Home features an updated kitchen and flooring. 2 car garage and a large redwood deck leading to a huge backyard. Text for a quick response to see!" "You will want to call this house, home! Catch up with friends and family in the open concept Great Room and admire the stunning, modern, kitchen remodel! All quartz countertops, maple cabinets, gorgeous glass backsplash, hideaway garbage and recycle, soft close drawers and cabinets, new stainless steel appliances, large format porcelain tile, and fabulous lighting! This home truly has it all! Brand new roof with ridge vents, new tankless water heater, water softener, central air, energy efficient windows and high-efficiency furnace with UV filter and extensive warranty which includes service! The master bathroom has been remodeled with granite countertops. New thermostat and sprinkling control with wifi. Enjoy quiet summer evenings barbequing on the expansive double deck. Large backyard with mature trees. The laundry room is plumbed for a half bath. 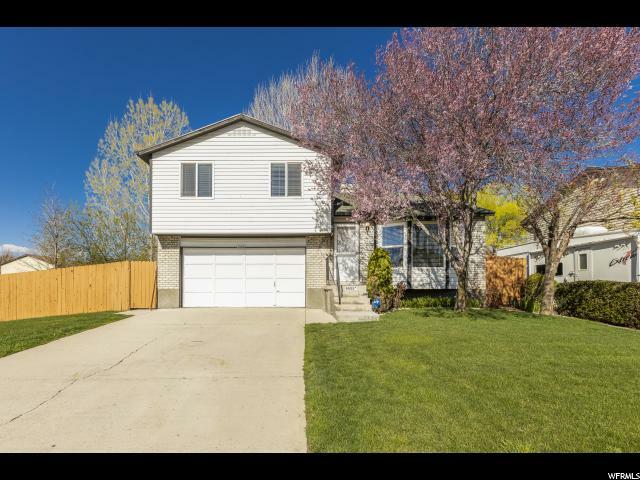 Fantastic central location in Oquirrh Shadows. 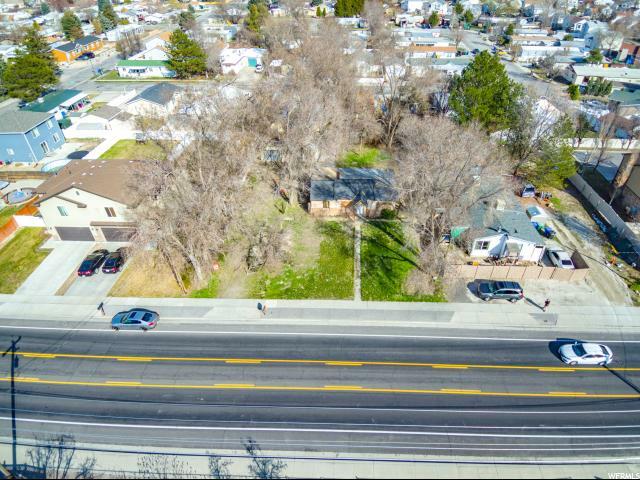 Super close to Harmons, Smiths, Wallmart, Jordan Landing, many restaurants and shops, Bangerter and the Mountain View Corridor. Buyers are building a new house, ( they ran out of things to improve! ) to be finished end of May or June 2019. Comes with one year Home Warranty through Acclaimed." "This home is in a gated community in a great location. Upstairs is a full master suite with a large master bedroom, master bath, walk-in-closet, and balcony. Second bedroom in basement needs flooring and closet to be installed. The basement is partially finished and has the remaining wood, drywall, and insulation to finish it all with a bedroom, den, bathroom, and utility room. Square footage figures are provided as a courtesy estimate only and were obtained from county records. Buyer is advised to obtain an independent measurement." 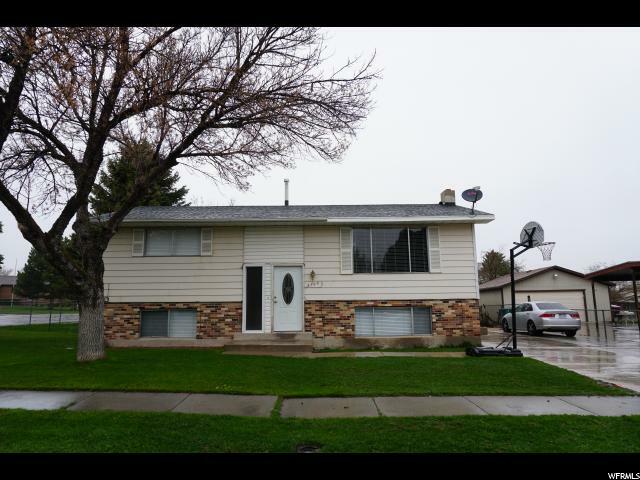 "Well maintained home with four bedrooms, two full bahrooms , jetted tub, granite tile countertops , updated bathroom with slate floor, walkout basement, oversize two car garage ,RV parking, fully fenced yard , nice & quiet neighborhood." "Fully updated beautiful home, with a brand new roof, close to Jordan Landing! 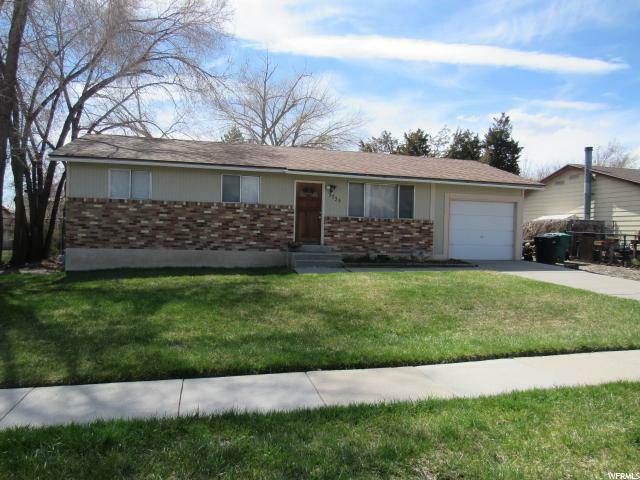 This very well maintained property comes with a remodeled mother in law basement. Don't miss out on this move in ready opportunity! *** The swamp cooler was removed after roof was replaced in September of 2018*** All offers will be presented on Monday 4-27. Keybox is located on the west side of the home on the gas meter. DO NOT lock the bottom lock on the front door. Home is occupied." "If the quiet life is calling, look no further. This great home is located on a peaceful cul-de-sac in a mature neighborhood and features 4 bedrooms, 2 full bathrooms, and a 2-car garage. You'll love the sitting room off the kitchen with a cozy fireplace to cuddle up to, and the new windows will keep you tightly insulated on chilly winter nights. Enjoy entertaining? The backyard is spacious and a great place to enjoy large gatherings with your friends or family. You can also rest assured that your 4-legged friends will be kept safe in the fully fenced backyard, and the automatic sprinklers will help manage your landscaping with ease. Additional features include Auxiliary A/C units, a water softener, storage shed, alarm system, and shelving in the garage. 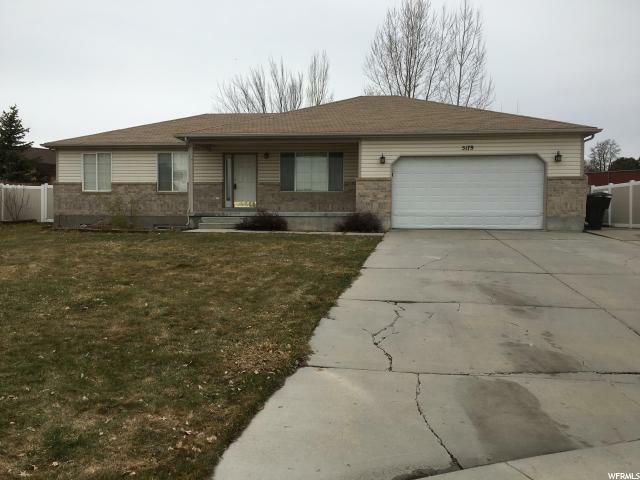 Freshly painted throughout, this home is priced right and ready to welcome you home." "This would be a great place to call home. 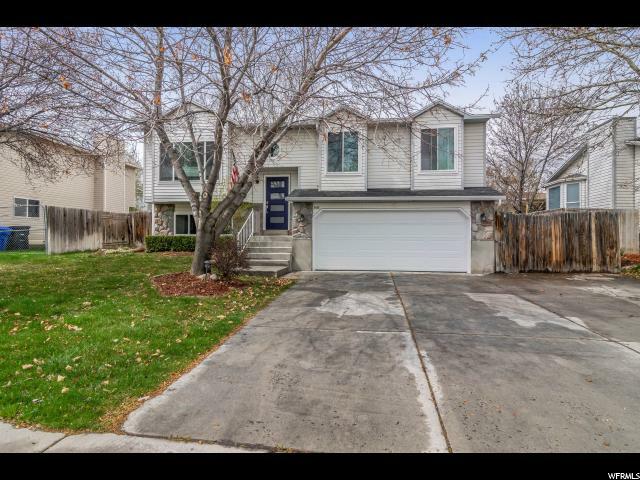 Beautiful split-entry home in a very convenient West Jordan neighborhood. Great flow through main level living, dining, kitchen and nook. Updated kitchen with walnut stained, ceiling height, shaker cabinets and black appliances. Other improvements include vinyl windows, two tone paint, new carpet and tasteful fixtures/hardware throughout. Fully fenced backyard. Attached 1 car garage and deep RV parking pad. 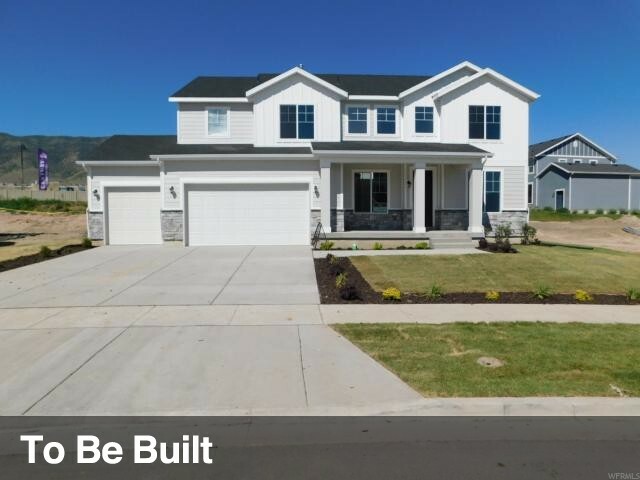 Plus a solar electric system from an industry leader, Vivint Solar. Easy to see, call to schedule today." "Adorable and Updated!!! 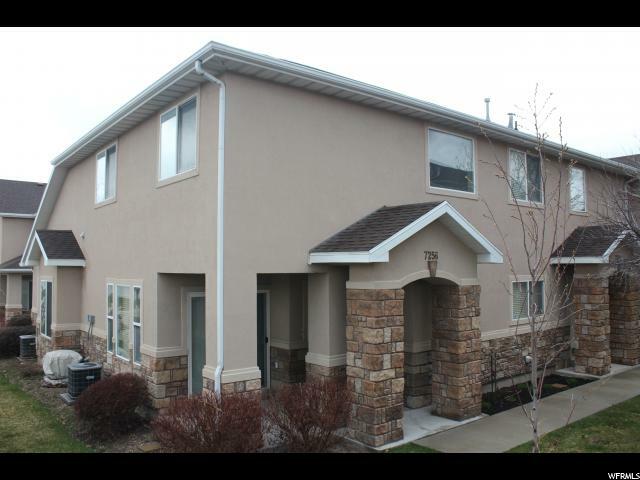 This 3 bed/2.5 bath townhome has a clean, open feel. The kitchen is spacious with close formal dining. The Backyard is fully fenced. There is a Darling Master w/ master bath and a walk-in closet. " "Warm, welcoming, & move-in ready! 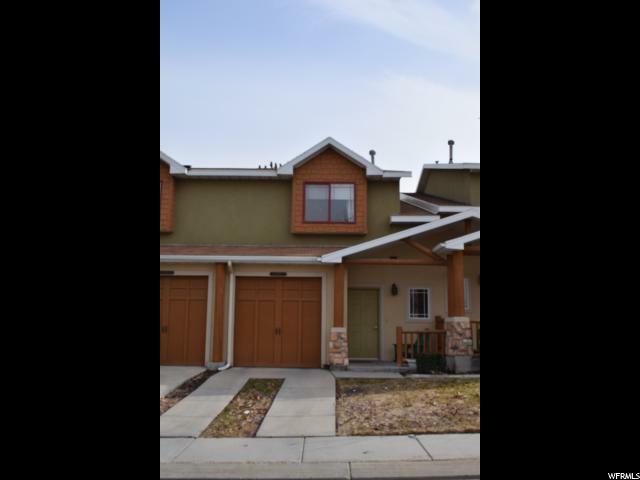 Clean, well cared for townhome in a great location & excellent community! 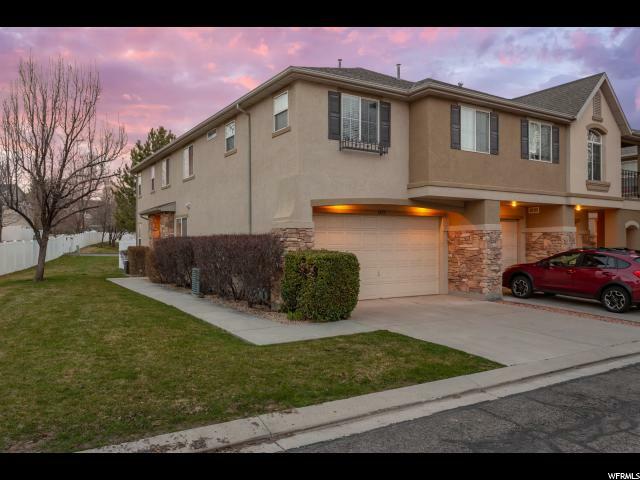 3 bed 2 & 1/2 bath featuring 2 car garage, granite counter tops, travertine backsplash, two tone paint, & master suite with large walk-in closet." 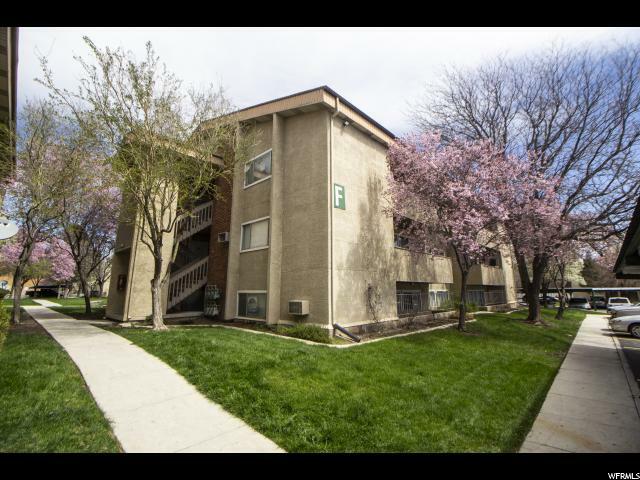 "Excellent Location - Fast access to bangerter highway and major retail shopping centers. Master bedroom suite with vaulted ceiling, double closets, and private master bathroom. Pool, Clubhouse, and Playground are right across the street from this unit. " "Wonderful ground level 3 bedroom 2 full bathroom condo that is in an FHA approved condo association. Park-like setting with playground, basketball court, pool and lots of open space. This is a great family neighborhood. Tenant occupied please give as much notice as possible for showings." "Well Taken Care of. Easy Access to I-15 & I-215. Close to Schools, Shopping, Restaurants, etc. Great Location in Back of Complex. Lots of Visitor Parking. Easy to show. Text or Call Agent. Square footage figures are provided as a courtesy estimate only and were obtained from Tax Records. Buyer is advised to obtain an independent measurement."